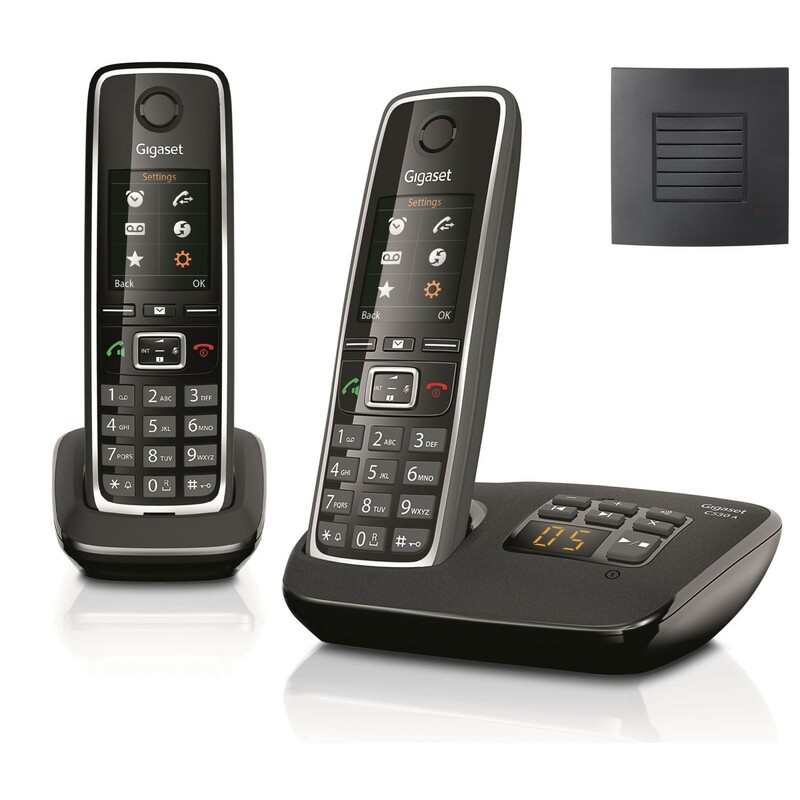 The new Gigaset C530A Twin is designed for exceptional call quality on your landline and now comes with and RTX repeater for up to double the range. Packed with useful features and stylish design, which includes a large full colour display, this twin home phone set has all bases covered and also comes with a 2-year warranty as standard. Gigaset telephones are renowned for the exceptional sound and the C530A Twin is equipped with HSP & HDSP for call clarity you can rely on. You can easily switch to hands-free and enjoy the same high-definition sound with the integrated full-duplex loudspeaker. Manage all of your contacts in the phonebook, which has a large memory for up to 150 contacts (with space for 3 numbers per entry). 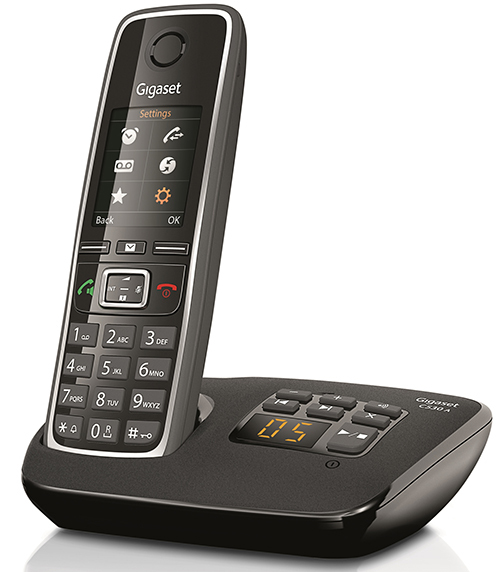 The Gigaset C530A is also Caller ID enabled and will store details of your most recently received, dialled, and missed calls. Further benefits include the time controlled call silencing, which can be activated at meal times or during the night to prevent any unwanted disturbances. 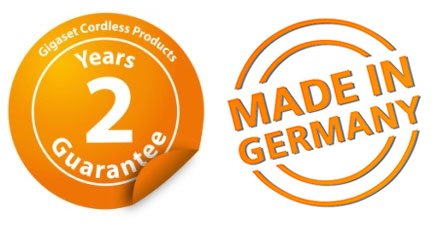 The C530A has been designed and manufactured in Germany, and comes with a free 2-year warranty as standard. 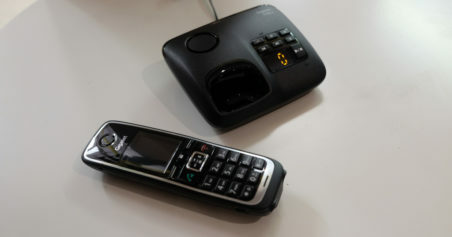 Gigaset phones are renowned for the superior build quality, and provide reliably durable performance. Manage your missed calls more efficiently with the C530A’s integrated answering machine with up to 30 minutes of recording time. You can record a personalised greeting, playback messages from the handset or base, and activate call screening so you can hear voicemails as they are being left. With more than one handset you can take advantage of additional features such as intercom, call transfer, and sharing contacts. The Gigaset C530A comes with a standard range of up to 50 metres indoors but the included RTX Long Range Repeater can be used to effectively double the range in your home. The repeater does not need to be connected to a telephone line and can be set-up in a few easy steps. Why should you buy this long range cordless phone? 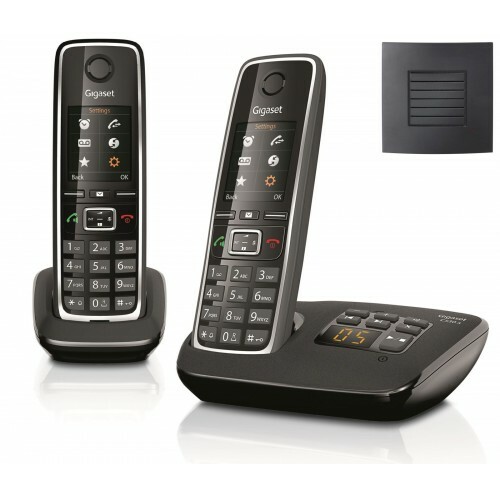 The Gigaset C530A is a high-quality home phone that comes with a range of features, and delivers extra long range thanks to the inclusion of a DECT repeater. Nice looking and sounding set of phones. Very easy to set up out of the boxes and I got it up and running just in 5 mins. Very happy! Beautiful phone screen and works really well. Clear sound and good handsfree loudspeaker on the handsets! Pleased with them so far! Pleased with them so far (only had the phones a couple of weeks). Arrived on time and they were easy to set up. The sound is clear and the answering machine is good. Would recommend!